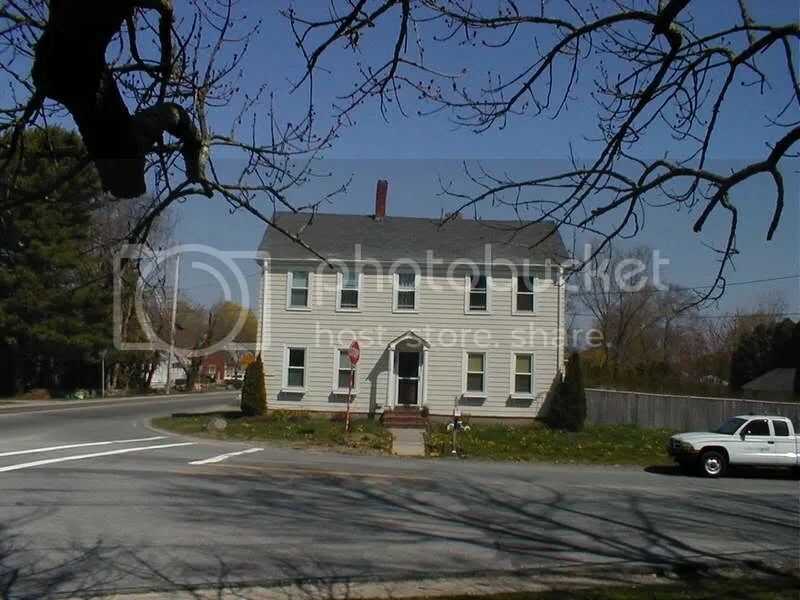 Andrew Borden, Lizzie Borden’s father, purchased several tracts of land in Swansea, much of it from the Gardner family. Luther’s Tavern where John Morse ate dinner on August 3, 1892. 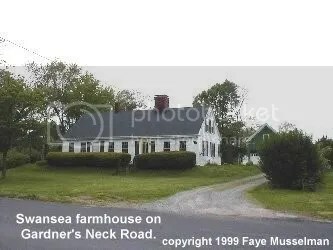 The “farm house” most often visited is at 1205 Gardner’s Neck Road as shown below. It was known as the Lower farm. This was the farm where the Bordens “summered”. The add-on was done to accommodate William Almy’s family, Andrew’s partner in the furniture and Undertaking business. After William died, Andrew purchased his half from the Widow Almy. Lizzie used to fish with her father on the Cole’s River a short ways down back of the barn. The Swede, Alfred Johnson, managed this farm. Note green barn in back. 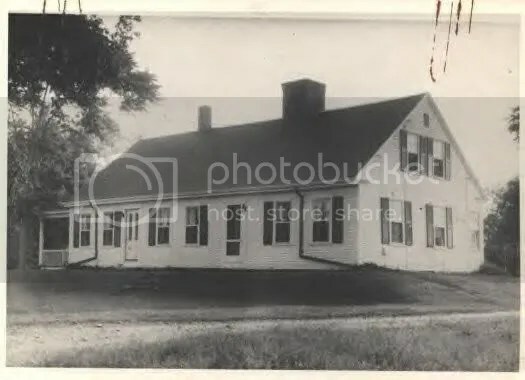 This would be the barn that Lizzie’s horse and wagon would be put in while she visited there post trial. Lizzie’s chairs, once stored in the barn, are now housed at Luther’s Museum. On Old Warren Road, very close to Luther’s Four Corners. This was a huge farm with cattle, vegetable crops, chickens, etc. managed by Mr. Eddy. It is where uncle John Vinnicum Morse stopped by to fetch the eggs Andrew asked him to bring back. 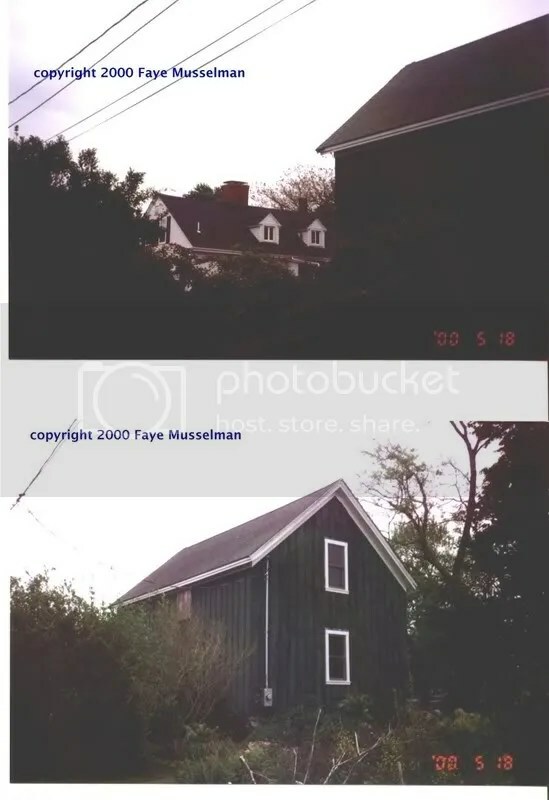 This was the farm that Morse referred to when questioned about Andrew making a Will. He said Andrew told him one time when they were “walking on the street” that he thought of giving this to the Old Ladie’s Home “if they would have it.” Frankly, I think Morse was lying to cover up what he and Andrew talked about Wednesday afternoon concerning Andrew’s Will. 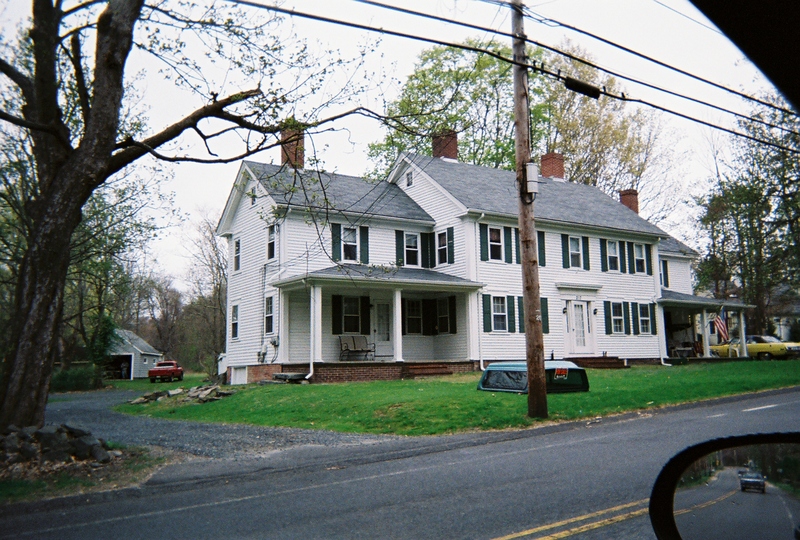 Victoria Lincoln asserts in her book, A Private Disgrace, that Andrew was planning to leave this property to Abby and that Lizzie learned of it and this knowledge was the precipating motive to the killings. It would be easy to understand that Lizzie would not want this property going to Abby. In a 1909 journal of Leontine Lincoln, grandfather of Victoria, he writes about this farm. I read it first hand as presented to me by his great-grandaughter, Louise Kittredge. 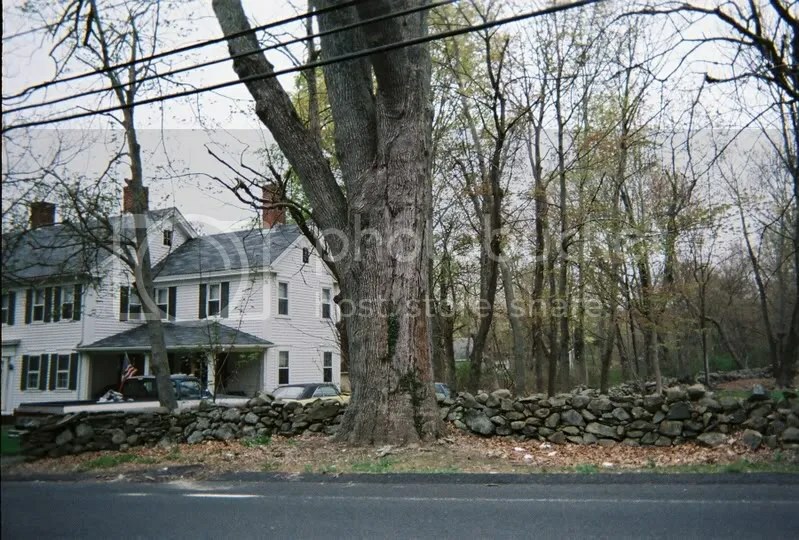 The current residents tell me the tree and stone wall date back to the 1870’s or earlier. 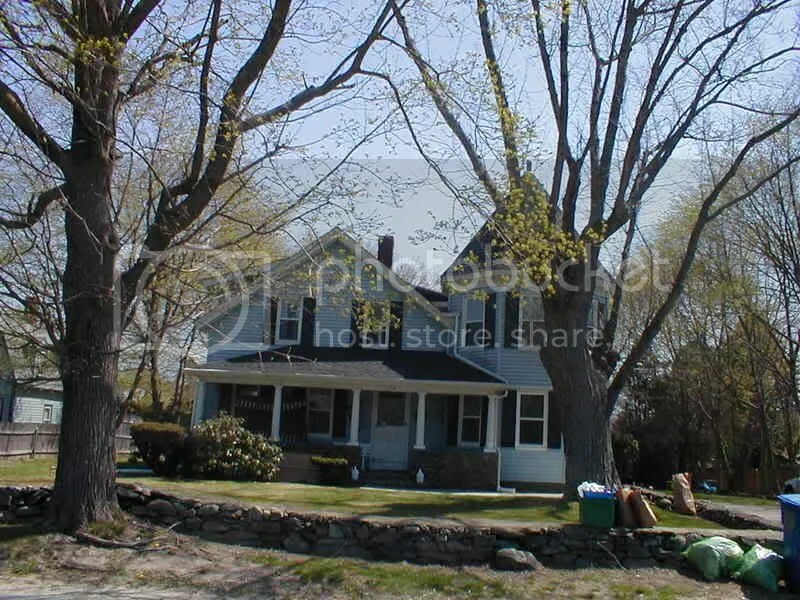 According to George Quigley, the house below, which sits across the street from the Swansea Country Club, was purchased or leased by Andrew when he was married to Sarah. 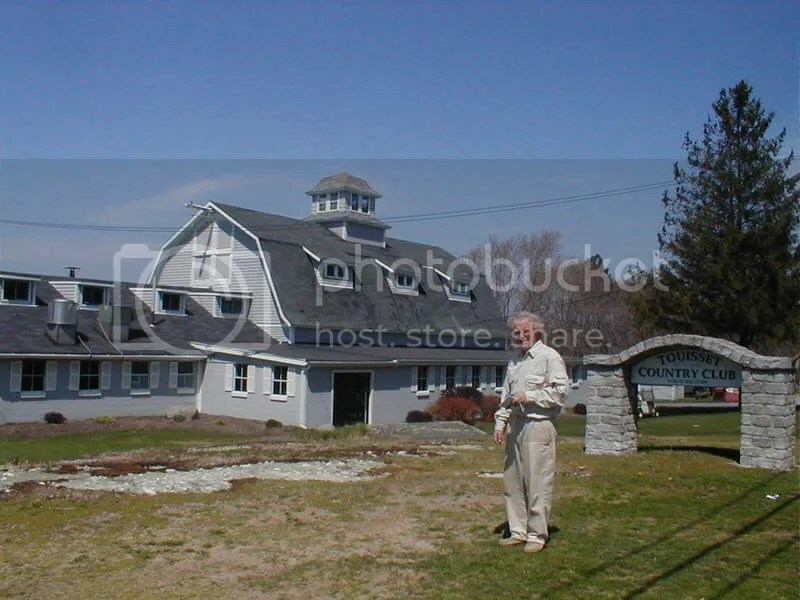 Carl Becker, President of the Swansea Historical Society (see slide show of interior) standing in front of Swansea Country Club. Taken April, 2008, the day of our drive around historic Swansea, ending up at the Library. Love the Web site. I’ve added you to my “favorites” list. I’m sure you’ve seen the TV movie about Lizzie starring Elizabeth Montgomery. What did you think? I just watched it again on YouTube. I like it. PS – I live two streets away from the murder house, and I’ve never been inside. I’m ashamed. 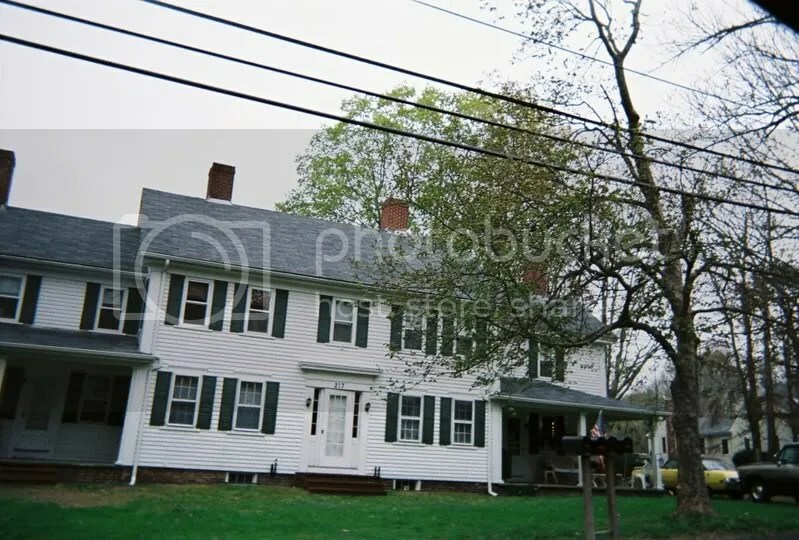 Does anyone have pictures of Col Peleg Gardner’s house? It was near 1205 Gardner? Unless the Cole’s river moved, it was not a short walk down back of the barn. There is a small inlet off Sandy beach which maybe what is mentioned above.